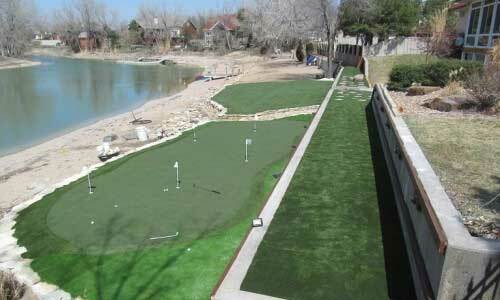 We are proud suppliers of high-quality SYNLawn® artificial grass throughout St. Louis, Missouri. Our experts design completely custom waterless landscaping solutions using any of our 25 different varieties of synthetic turf. 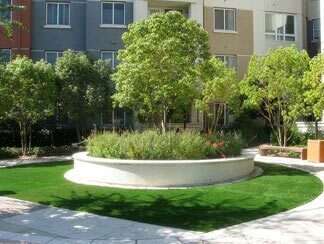 Clients nationwide rely on SYNLawn® for water conservation solutions, durable tee lines, safe playground spaces, realistic backyard putting greens, artificial grass lawns, and more. One of the top reasons why SYNLawn® is an industry-leading provider is because our products are 100 percent recyclable and made with lead-free materials. 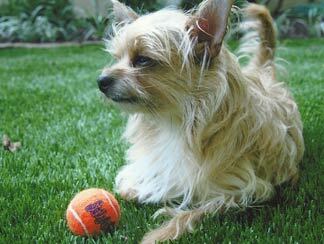 Best of all, our landscaping surfaces are environmentally friendly and are completely safe for pets and children. SYNLawn® artificial grass is affordable and comes with the best manufacturer warranty in the industry. A true innovator, SYNLawn®, has transformed the way artificial grass lawns and sports turf are designed and manufactured. Forget the ugly, scratchy fake grass installations of yesteryear! Our synthetic grass products are made with exclusive, performance-oriented materials to create landscaping surfaces that will stand the test of time, even with heavy foot traffic. With our gorgeous artificial product selection, you can enjoy green grass all year-round, despite adverse weather conditions. We make our products work for you. 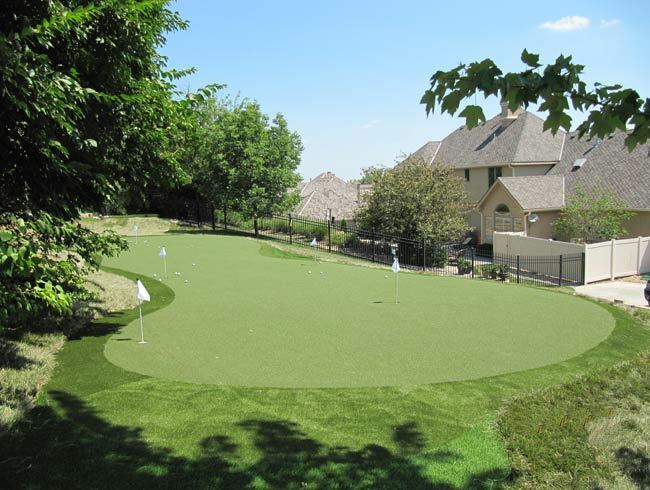 To have an artificial grass lawn or synthetic putting green installed in your St. Louis, MO backyard or commercial location, choose the most trusted name in the industry. Contact SYNLawn® St Louis for beautiful landscaping solutions that can be customized for any space. Talk with our team about your next installation project today. Legendary golfer, Tom Watson, has spent a lot of time on the greens in his lifetime. When he's not on tour, he's playing golf in his backyard, thanks to his new SYNLawn® Golf practice facility made with our high-performance putting green turf. Since Watson knows practice makes perfect and has admitted to hitting "a million practice balls," he is now happy to endorse SYNLawn® putting green products to encourage others that they too can not only practice – they can practice better. A huge thank you to Brock and the folks at SynLawn! They recently installed a putting green at our new home, and they did an exceptional job. Brock is extremely professional, timely, and responsive. The SynLawn crew, in addition to being very good at what they do, was beyond professional, polite and courteous. Excellent experience. We are delighted with our Synlawn golf green. 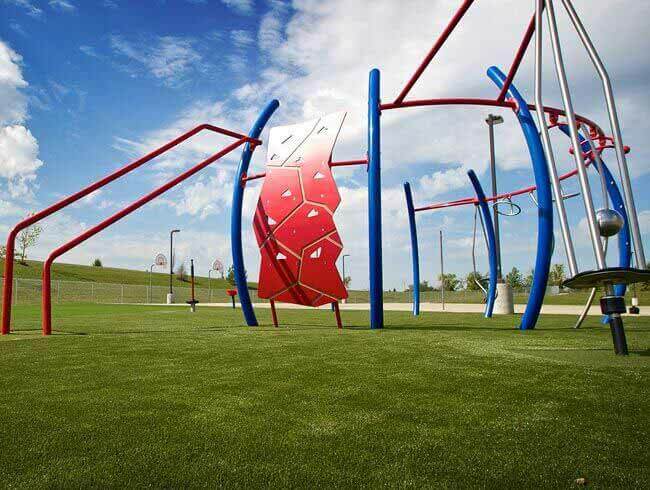 We’ve had it for two years now and it still looks beautiful and provides us a fun, effective, and convenient short game practice area in our yard. Since getting our golf green, my handicap has fallen from 12 to 8 largely due to improvements in my short game and putting in particular. I would highly recommend a Synlawn green and Turf Etc. as the installer. Angela and her team are a pleasure to work with, always responsive, and have a passion for providing the best possible experience for their customers. Our family loves soccer and we wanted to be able to play and practice all year-round regardless of the weather. We had Turf, Etc. install a 900 sqft soccer field in the unfinished portion of our basement using SynBermuda's artificial turf. The field looks great, feels terrific and plays perfectly. Best of all, it has no sand or rubber infill so there is no mess in the house. It is the most fun thing we have done to our home. We couldn't be happier. 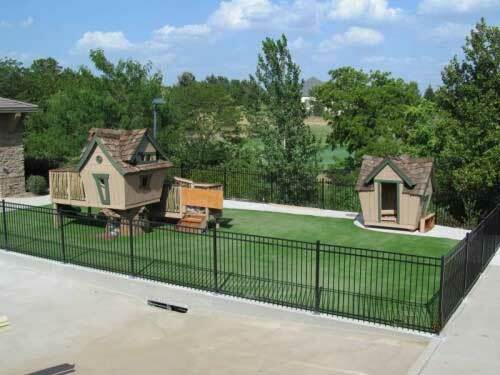 We run a very busy pet resort business and had a need to replace the turf in our big dog play area. Being a diligent business owner I had reached out to three different companies to receive quotes and even though SynLawn was not the least expensive it was not a difficult decision to choose Brock and his crew to perform the work. From my first contact with Brock he was professional, diligent and provided me with a complete and timely quote and answered all my questions and concerns. I had the pleasure of speaking to several people in his office who showed the same professionalism in setting up the scheduling. During the installation Brock kept me informed of the progress as I am in Arizona and the resort is in Lee’s Summit. My staff at the resort was impressed by the crew that performed the installation and is ecstatic to have a new beautiful area that our guests can romp and play on for years to come. When I’m ready to replace the turf at our two other KC area resorts I will only have to make one call. Thank you Brock and everyone involved in the process. Our experience with SynLawn was fabulous from the very beginning. Our salesman Brock Hall was very knowledgeable and helped us choose the right turf for our needs. They came when they said and installed it all in less than a day. It has been beautiful and is just right for a Mid Town garden that could never thrive because of giant oak trees in the backyards. We highly recommend SynLawn. Brock is involved in the process from start to finish. He pays attention to details, and the final product reflects that attention. The project went exactly as he said it would, which is refreshing. I recommend Brock very highly! When I needed a solution to my turf issues, Brock came out, evaluated my needs and came up with the best solution. I went with his advice and the recommendation was perfect!